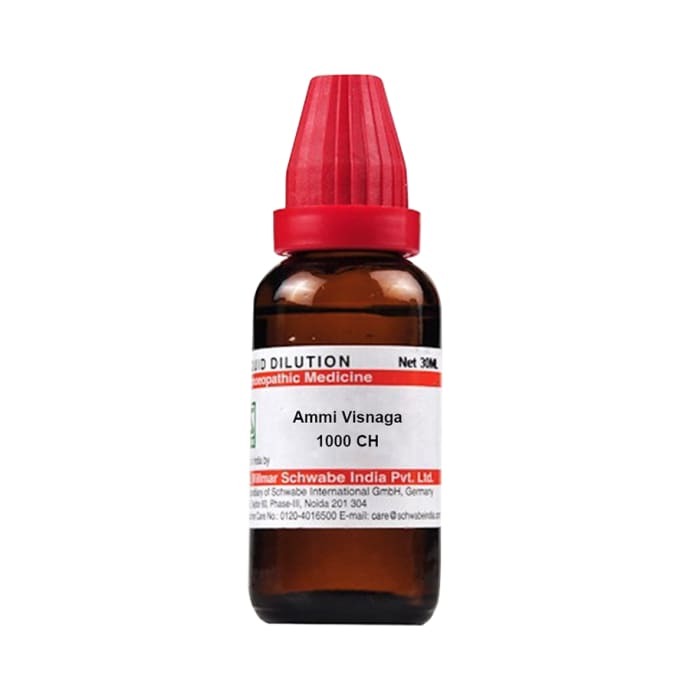 Dr Willmar Schwabe India Ammi Visnaga Dilution is a homeopathic remedy for the treatment of spasmodic bodily movements. It relives violent jerking of various muscles in the body. It is also useful in the treatment of angina pectrosis a condition which causes severe pain in the chest due to lack of blood flow to the heart muscles. Ammi Visnaga helps in relaxing your muscles and reduces pain caused due to kidney stones. Take 3-5 drops of Dr Willmar Schwabe India Ammi Visnaga Mother Tincture diluted in half cup of water thrice a day or as directed by the physician.